First the lantana, and then the passion flower vine. 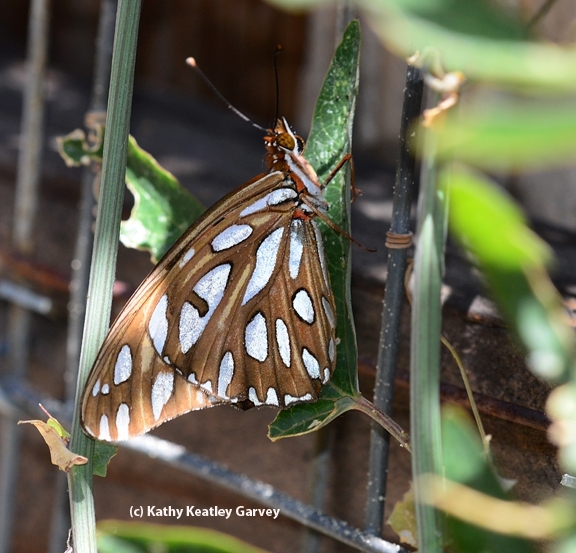 The Gulf Fritillary butterflies (Agraulis vanillae) flutter daily around our backyard. They stop for a little nectar from lantana (family Verbenaceae), and then head over to the passion flower vines (genus Passiflora) to breed or lay their eggs. You can't miss them. 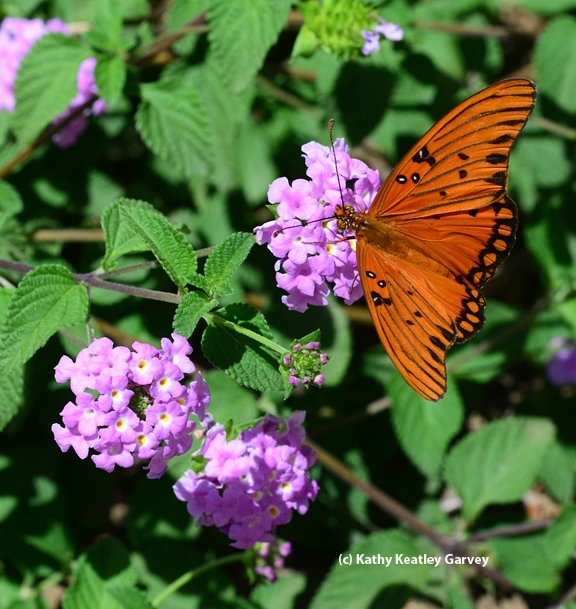 The Gulf Frit is a showy, reddish-orange butterfly. Its underside absolutely sparkles in a spangled iridescent silver. 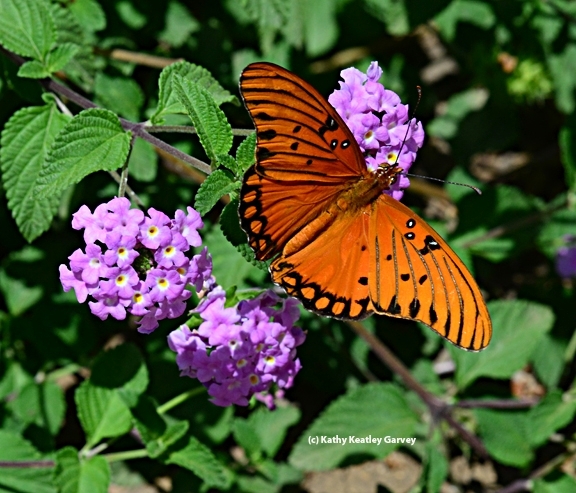 Butterfly expert Art Shapiro, professor of evolution and ecology at the University of California, Davis, and who maintains the website, Art's Butterfly World, says the Gulf Frit was introduced into southern California in the 19th century and first recorded in the Bay Area "before 1908." It was once prevalent in the Sacramento area in the 1960s, but seemed to have died out by the early 1970s. Then in 2009, it began making a comeback in the Sacramento area. It's definitely making a comeback. A beautiful comeback. I have caught Frits up here in the foothill/Grass Valley/Nevada City area, but not Gulf Frits. Do you or does Art know if they're up here? According to butterfly expert Art Shapiro, professor of evolution and ecology at UC Davis: "I have no records from there, but that doesn't mean they don't. They ARE in the Placerville area now."